When i used learn.unfreeze() I find no changes in the model summary. 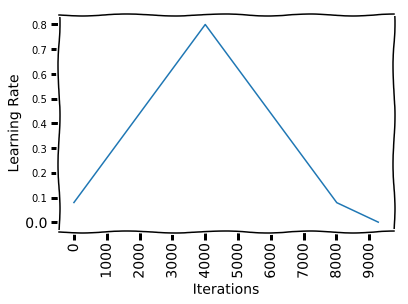 The trainable parameter of convolution base is still set to False. Isn’t unfreeze used to fine tune the convolution base? 然后, 前往 Colab Welcome Page 并点击 ‘Github’. 在 ‘Enter a GitHub URL or search by organization or user’ 一栏填写 ‘fastai/course-v3’. 你将看到所有课程notebooks，点击一个你感兴趣的. 在你运行前，需要告知Colab你希望使用GPU. 你可以点击 ‘Runtime’ tab 选择 ‘Change runtime type’. 在随后打开的窗口下拉菜单里选择‘GPU’，或者在edit中选择Notebook settings中选择GPU 然后点击 ‘Save’. 然后，你会看到一个跳出窗口说 ‘Warning: This notebook was not authored by Google’; 你选中’Reset all runtimes before running’, 然后点击‘Run Anyway’. 这将打开一个新 tab 含有相同文件位于你的Google Drive. 如果你希望保存后继续工作，那么直接在这个新tab中工作就可以. 你的notebook将被保存在一个叫 Colab Notebooks的文件夹位于你的Google Drive中. I have a problem on google cloud instance I cannot do git pull it say permission denied, not sure why, I am owner of the project and still not working. How to setup git on google cloud instance right so that it works and so that I can do git pull. but when I go git pull it said permission denied. Very nicely done. Which tool did you use for the mindmap? I wonder whether you have also done mindmaps to the rest lesson 2-7! If yes, could we share them too? thanks.